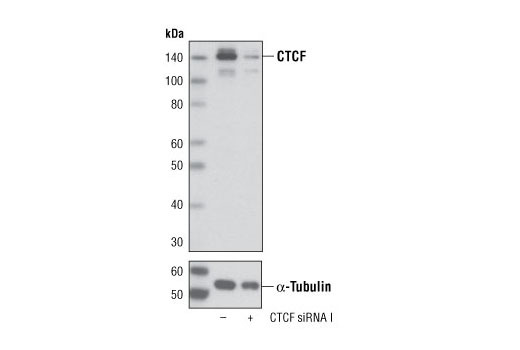 SignalSilence® CTCF siRNA I from Cell Signaling Technology (CST) allows the researcher to specifically inhibit CTCF expression using RNA interference, a method whereby gene expression can be selectively silenced through the delivery of double stranded RNA molecules into the cell. All SignalSilence® siRNA products from CST are rigorously tested in-house and have been shown to reduce target protein expression by western analysis. Background: CCCTC-binding factor (CTCF) and its paralog, the Brother of the Regulator of Imprinted Sites (BORIS), are highly conserved transcription factors that regulate transcriptional activation and repression, insulator function, and imprinting control regions (ICRs) (1-4). Although they have divergent amino and carboxy termini, both proteins contain 11 conserved zinc finger domains that work in combination to bind the same DNA elements (1). CTCF is ubiquitously expressed and contributes to transcriptional regulation of cell-growth regulated genes, including c-myc, p19/ARF, p16/INK4A, BRCA1, p53, p27, E2F1, and TERT (1). CTCF also binds to and is required for the enhancer-blocking activity of all known insulator elements and ICRs, including the H19/IgF2, Prader-Willi/Angelman syndrome, and Inactive X-Specific Transcript (XIST) anti-sense loci (5-7). CTCF DNA-binding is sensitive to DNA methylation, a mark that determines selection of the imprinted allele (maternal vs. paternal) (1). The various functions of CTCF are regulated by at least two different post-translational modifications. Poly(ADP-ribosyl)ation of CTCF is required for insulator function (8). Phosphorylation of Ser612 by protein kinase CK2 facilitates a switch of CTCF from a transcriptional repressor to an activator at the c-myc promoter (9). CTCF mutations or deletions have been found in many breast, prostate, and Wilms tumors (10,11). Expression of BORIS is restricted to spermatocytes and is mutually exclusive of CTCF (3). In cells expressing BORIS, promoters of X-linked cancer-testis antigens like MAGE-1A are demethylated and activated, but methylated and inactive in CTCF-expressing somatic cells (12). Like other testis specific proteins, BORIS is abnormally expressed in different cancers, such as breast cancer, and has a greater affinity than CTCF for DNA binding sites, detracting from CTCF’s potential tumor suppressing activity (1,3,13,14). 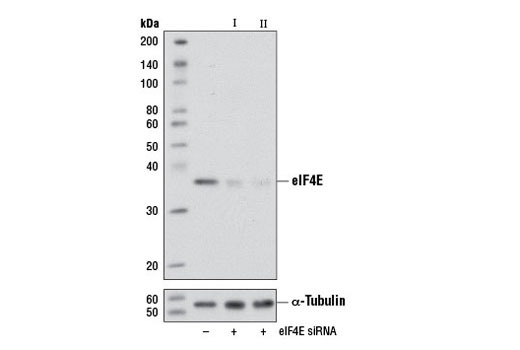 SignalSilence® eIF4E siRNA I (Mouse Specific) from Cell Signaling Technology (CST) allows the researcher to specifically inhibit eIF4E expression using RNA interference, a method whereby gene expression can be selectively silenced through the delivery of double stranded RNA molecules into the cell. All SignalSilence® siRNA products from CST are rigorously tested in-house and have been shown to reduce target protein expression by western analysis. Background: Eukaryotic initiation factor 4E (eIF4E) binds to the mRNA cap structure to mediate the initiation of translation (1,2). eIF4E interacts with eIF4G, a scaffold protein that promotes assembly of eIF4E and eIF4A into the eIF4F complex (2). eIF4B is thought to assist the eIF4F complex in translation initiation. Upon activation by mitogenic and/or stress stimuli mediated by Erk and p38 MAPK, Mnk1 phosphorylates eIF4E at Ser209 in vivo (3,4). Two Erk and p38 MAPK phosphorylation sites in mouse Mnk1 (Thr197 and Thr202) are essential for Mnk1 kinase activity (3). The carboxy-terminal region of eIF4G also contains serum-stimulated phosphorylation sites, including Ser1108, Ser1148, and Ser1192 (5). Phosphorylation at these sites is blocked by the PI3 kinase inhibitor LY294002 and by the FRAP/mTOR inhibitor rapamycin. 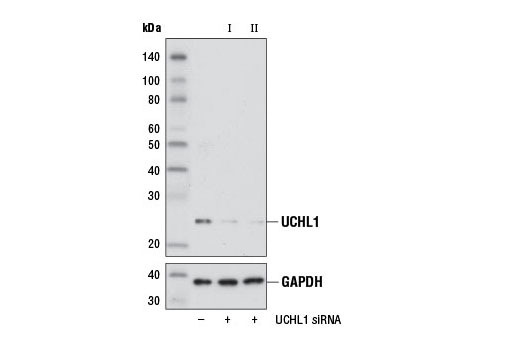 SignalSilence® UCHL1 siRNA II from Cell Signaling Technology (CST) allows the researcher to specifically inhibit UCHL1 expression using RNA interference, a method whereby gene expression can be selectively silenced through the delivery of double stranded RNA molecules into the cell. All SignalSilence® siRNA products from CST are rigorously tested in-house and have been shown to reduce target protein expression by western analysis. Background: Protein ubiquitination and deubiquitination are reversible processes catalyzed by ubiquitinating enzymes (UBEs) and deubiquitinating enzymes (DUBs) (1,2). DUBs are categorized into 5 subfamilies: USP, UCH, OTU, MJD, and JAMM. UCHL1, UCHL3, UCHL5/UCH37, and BRCA-1-associated protein-1 (BAP1) belong to the ubiquitin carboxy-terminal hydrolase (UCH) family of DUBs, which all possess a conserved catalytic UCH domain of about 230 amino acids. UCHL5 and BAP1 have unique, extended carboxy-terminal tails. UCHL1 is abundantly expressed in neuronal tissues and testes, while UCHL3 expression is more widely distributed (3,4). Although UCHL1 and UCHL3 are the most closely related UCH family members with about 53% identity, their biochemical properties differ in that UCHL1 binds monoubiquitin and UCHL3 shows dual specificity toward both ubiquitin (Ub) and NEDD8, a Ub-like molecule.UCHL1 (PGP 9.5/PARK5) functions as a deubiquitinating enzyme and monoubiquitin stabilizer. 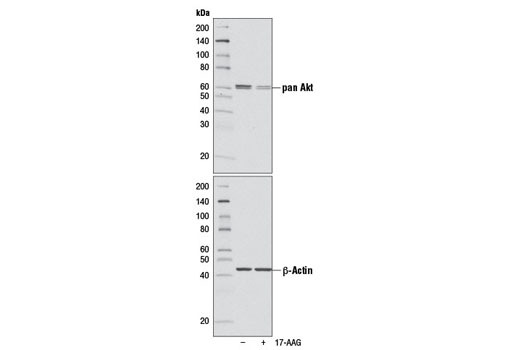 In vitro studies have demonstrated that UCHL1 can hydrolyze isopeptide bonds between the carboxy-terminal glycine of Ub and the ε-amino group of lysine on target proteins. UCHL1 is also involved in the cotranslational processing of pro-ubiquitin and ribosomal proteins translated as ubiquitin fusions (5-7). Mice deficient in UCHL1 experience spasticity, suggesting that UCHL1 activity is required for the normal neuromuscular junction structure and function (5-7). Research studies have described loss of UCHL1 expression in numerous human malignancies, such as prostate, colorectal, renal, and breast carcinomas. Investigators have shown that loss of UCHL1 expression in breast carcinomas can be attributed to hyper-methylation of the UCHL1 gene promoter (8). While loss of UCHL1 expression is implicated in human carcinogenesis, mutation of UCHL1 has been implicated in neurodegenerative diseases such as Parkinson's and Alzheimer's (6,7). 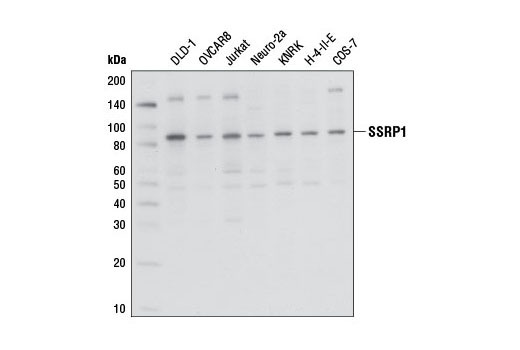 SignalSilence® USP1 siRNA I from Cell Signaling Technology (CST) allows the researcher to specifically inhibit USP1 expression using RNA interference, a method whereby gene expression can be selectively silenced through the delivery of double stranded RNA molecules into the cell. All SignalSilence® siRNA products from CST are rigorously tested in-house and have been shown to reduce target protein expression by western analysis. Background: Ubiquitinating enzymes (UBEs) catalyze protein ubiquitination, a reversible process countered by deubiquitinating enzymes (DUB) action (1,2). There are five DUB subfamilies including the USP, UCH, OTU, MJD, and JAMM enzymes. 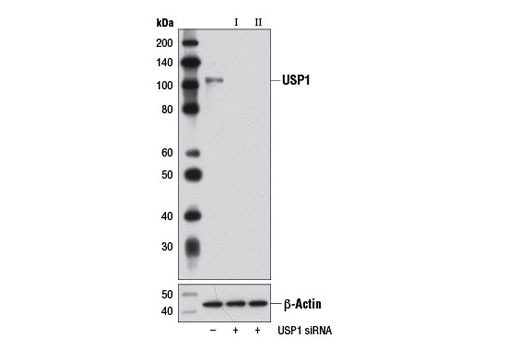 USP1 belongs to the USP subfamily and is regulated in a cell cycle dependent manner by both transcriptional and ubiquitin-proteosomal mechanisms (3). USP1 is a nuclear protein and localizes to chromatin where it is specifically associated with FANCD2. USP1 deubiquitinates monoubiquitinated FANCD2, which plays an important role in DNA damage repair and Chk1 protein stability (3,4). Another important target of USP1 is PCNA. USP1 deubiquitinates monoubiquitinated PCNA, thereby negatively regulating PCNA-mediated translesion synthesis (TLS) during DNA repair (5). USP1 interaction with UAF1, a WD40 repeat-containing protein, leads to formation of an activated USP1/UAF1 complex, which is required for the deubiquitinase activity of USP1 (6,7). Background: Suppressor of Ty-16 (SPT16) and structure-specific recognition protein-1 (SSRP1) are subunits of the facilitates chromatin transcription (FACT) complex that is essential for transcription elongation (1,2). FACT facilitates RNA polymerase-dependent transcription of chromatin templates by destabilizing the nucleosomes within the open reading frames of active genes (3-5). FACT destabilizes the nucleosomes, which would otherwise act as barriers to RNA polymerase transcription activity, by disrupting histone-histone and histone-DNA contacts that lead to the eviction of the histone H2A-H2B dimer (2,3,6). FACT may also function as a histone chaperone to reassemble nucleosomes after RNA polymerase passage (7). In addition to transcription, FACT activity has been shown to have a role in DNA replication in yeast and in DNA repair by contributing to the activation of p53 by CK2 and by facilitating histone H2AX-H2B exchange upon DNA damage (8-10). Background: SynGAP is a synaptic GTPase-activating protein selectively expressed in the brain and found at higher concentrations specifically at excitatory synapses in the mammalian forebrain. SynGAP has a PH domain, a C2 domain, and a highly conserved RasGAP domain, which negatively regulates both Ras activity and its downstream signaling pathways. SynGAP interacts with the PDZ domains of SAP102, as well as PSD95, a postsynaptic scaffolding protein that couples SynGAP to NMDA receptors (1). SynGAP is phosphorylated by Ca2+/calmodulin-dependent protein kinase II (CaMKII) at Ser765 and Ser1123, among other sites (2,3). Phosphorylation of SynGAP results in stimulation of the GTPase activity of Ras, and PSD95 dependent CaMKII phosphorylation of SynGAP increases after transient brain ischemia (1,4). SynGAP is implicated in NMDAR- and CaMKII-dependent regulation of AMPAR trafficking and plays an important role in synaptic plasticity (3,5). 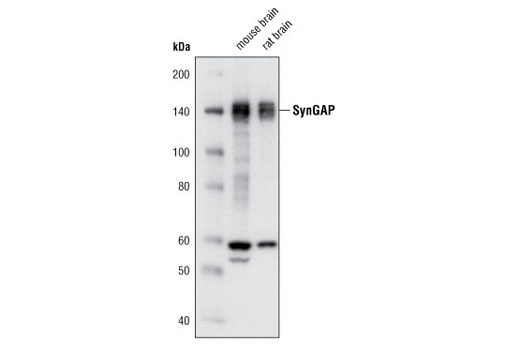 SynGAP is critical during neuronal development as mice lacking SynGAP protein die postnatally. Furthermore, SynGAP mutant mice have reduced long-term potentiation (LTP) and perform poorly in spatial memory tasks (6). Background: Bak is a proapoptotic member of the Bcl-2 family (1). This protein is located on the outer membrane of mitochondria and is an essential component for transduction of apoptotic signals through the mitochondrial pathway (2,3). Upon apoptotic stimulation, an upstream stimulator like truncated BID (tBID) induces conformational changes in Bak to form oligomer channels in the mitochondrial membrane for cytochrome c release. The release of cytochrome c to the cytosol activates the caspase-9 pathway and eventually leads to cell death (4,5). Background: Paired box (PAX) proteins are a family of transcription factors that play important and diverse roles in animal development (1). 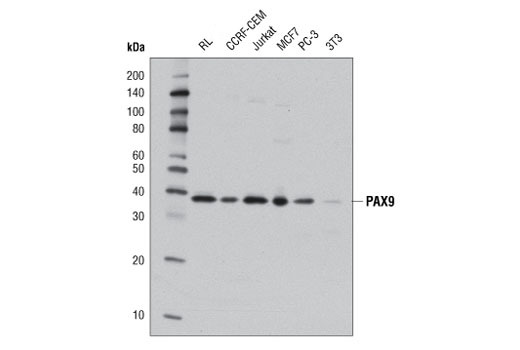 Nine PAX proteins (PAX1-9) have been described in humans and other mammals. They are defined by the presence of an amino-terminal "paired" domain, consisting of two helix-turn-helix motifs, with DNA binding activity (2). PAX proteins are classified into four structurally distinct subgroups (I-IV) based on the absence or presence of a carboxy-terminal homeodomain and a central octapeptide region. Subgroup I (PAX1 and 9) contains the octapeptide but lacks the homeodomain; subgroup II (PAX2, 5, and 8) contains the octapeptide and a truncated homeodomain; subgroup III (PAX3 and 7) contains the octapeptide and a complete homeodomain; and subgroup IV (PAX4 and 6) contains a complete homeodomain but lacks the octapeptide region (2). PAX proteins play critically important roles in development by regulating transcriptional networks responsible for embryonic patterning and organogenesis (3); a subset of PAX proteins also maintain functional importance during postnatal development (4). Research studies have implicated genetic mutations that result in aberrant expression of PAX genes in a number of cancer subtypes (1-3), with members of subgroups II and III identified as potential mediators of tumor progression (2). 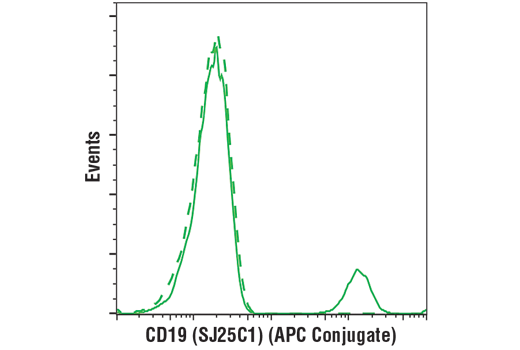 This Cell Signaling Technology antibody is conjugated to APC and tested in-house for direct flow cytometry analysis in human cells. 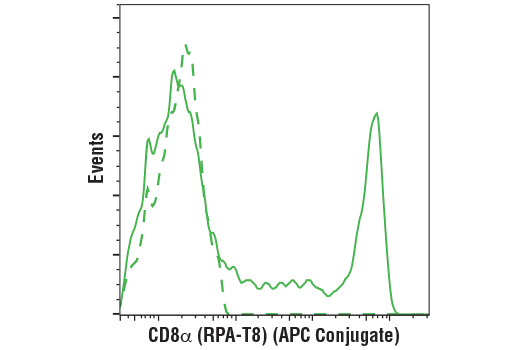 Background: CD19 is a 95 kDa coreceptor, which amplifies the signaling cascade in B cells (1). On the B cell surface, CD19 associates with CD21, CD81 and Leu-13 to exert its function. The cytoplasmic tail of CD19 has nine conserved tyrosine residues playing critical roles in CD19 mediated function by coupling signaling molecules to the receptor (1). After B cell receptor or CD19 ligation, Tyr531 and Tyr500 of CD19 are progressively phosphorylated. This phosphorylation enables the coupling of PI3 kinase and Src family tyrosine kinase to CD19 and activates the PI3K and Src signaling pathways (2,3). Coligation of B cell receptor and CD19 also promotes Tyr409 phosphorylation in CD19. The phosphorylation at these sites enables its binding to Vav and mediates elevated intracellular calcium response, as well as the JNK pathway (4,5). Background: WTX (Wilms’ tumor gene on the X chromosome) is a developmentally regulated gene with a potentially important role in kidney development (1). Functional studies of WTX suggest that it acts as a tumor suppressor gene in renal cells by promoting β-catenin ubiquitination and degradation, thereby antagonizing WNT/β-catenin signaling (1,2). WTX is found to be inactivated in 30% of Wilms’ tumors, mostly by chromosomal deletion (3). Wilms’ tumor is a pediatric kidney cancer that arises from cells that fail to differentiate during kidney development (4). Inactivation of the WT1 tumor suppressor gene accounts for 10-15% of Wilms’ tumor cases (5). WTX has been shown to enhance WT1-mediated transactivation, suggesting a physiologically significant interaction between WT1 and WTX (6). 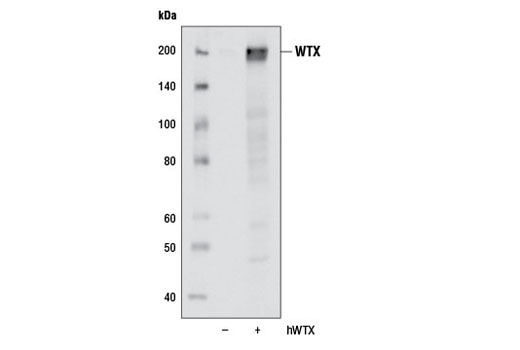 WTX may be directly involved in the transcriptional regulation of cellular differentiation in the kidney through interactions with WT1 and other transcription factors (6). Background: A2B5 Mouse mAb recognizes a cell surface ganglioside epitope that has been utilized as a marker for identification of various cell types. 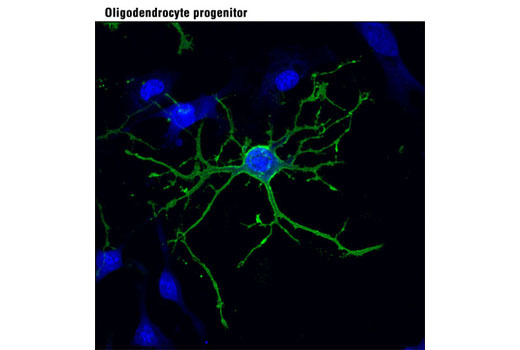 A2B5 Mouse mAb has been used to mark specific cell populations such as neuroendocrine cells, thymic epithelial cells (1), and glial precursors that give rise to type II astrocytes and oligodendrocytes (2-4). Background: FAIM (Fas apoptosis inhibitory molecule) was identified as a protein that was inducibly expressed in B lymphocytes resistant to Fas-mediated apoptosis (1). Expression of FAIM inhibits receptor-mediated apoptosis in B cells as well as other cell types (1-3). FAIM is expressed in germinal center B cells, is positively regulated by IRF-4, and is also capable of inducing IRF-4 expression in a feed-forward mechanism (4). FAIM also regulates T cell receptor-mediated apoptosis by modulating Akt activation and Nur77 expression (2). Knockout mice for FAIM show an increased sensitivity to Fas-mediated apoptosis within B and T cells as well as hepatocytes (5). An alternatively spliced form of FAIM, termed FAIM-L, is found predominantly in the brain (6). In the nervous system, the originally identified FAIM does not appear to play a role in apoptosis, but rather can promote neurite outgrowth through the activation of Erk and NF-κB pathways (7). 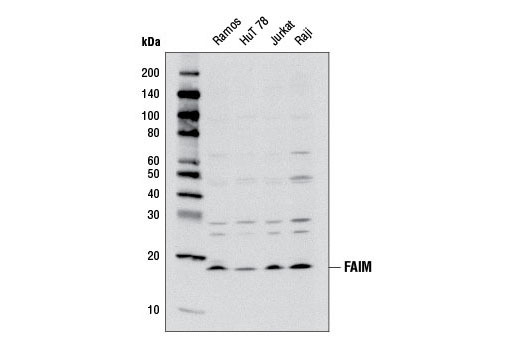 In contrast, FAIM-L does inhibit neuronal cell death triggered by death receptors (3). 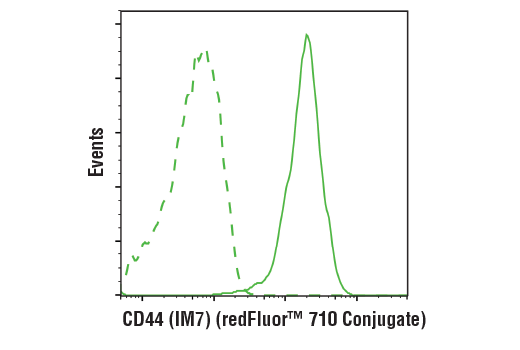 This Cell Signaling Technology antibody is conjugated to redFluor™ 710 and tested in-house for direct flow cytometric analysis in human and mouse cells. Background: CD44 is a type I transmembrane glycoprotein that mediates cell-cell and cell-matrix interaction through its affinity for hyaluronic acid (HA) and possibly through other parts of the extracellular matrix (ECM). CD44 is highly polymorphic, possesses a number of alternative splice variants and undergoes extensive post-translational modifications (1,2). 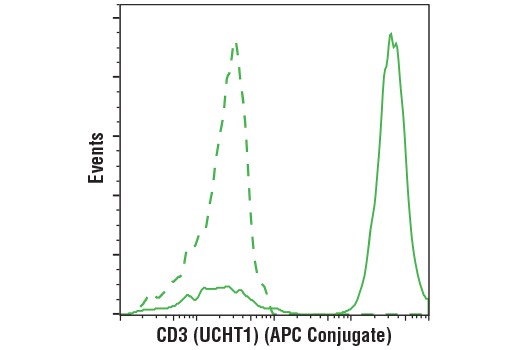 Increased surface levels of CD44 are characteristic of T cell activation, and expression of the protein is upregulated during the inflammatory response. Research studies have shown that interactions between CD44 and HER2 are linked to an increase in ovarian carcinoma cell growth (1-3). CD44 interacts with ezrin, radixin and moesin (ERM), linking the actin cytoskeleton to the plasma membrane and the ECM (4-6). CD44 is constitutively phosphorylated at Ser325 in resting cells. Activation of PKC results in phosphorylation of Ser291, dephosphorylation of Ser325, disassociation of ezrin from CD44, and directional motility (4). 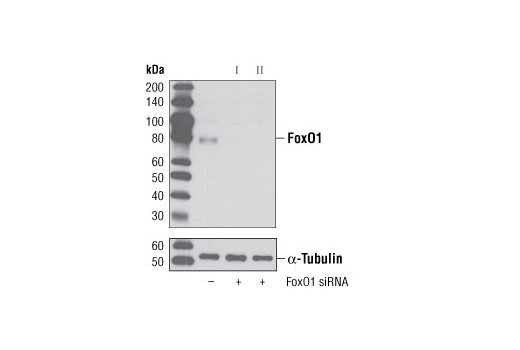 SignalSilence® FoxO1 siRNA II from Cell Signaling Technology (CST) allows the researcher to specifically inhibit FoxO1 expression using RNA interference, a method whereby gene expression can be selectively silenced through the delivery of double stranded RNA molecules into the cell. All SignalSilence® siRNA products from CST are rigorously tested in-house and have been shown to reduce target protein expression by western analysis. Background: The Forkhead family of transcription factors is involved in tumorigenesis of rhabdomyosarcoma and acute leukemias (1-3). Within the family, three members (FoxO1, FoxO4, and FoxO3a) have sequence similarity to the nematode orthologue DAF-16, which mediates signaling via a pathway involving IGFR1, PI3K, and Akt (4-6). Active forkhead members act as tumor suppressors by promoting cell cycle arrest and apoptosis. Increased expression of any FoxO member results in the activation of the cell cycle inhibitor p27 Kip1. Forkhead transcription factors also play a part in TGF-β-mediated upregulation of p21 Cip1, a process negatively regulated through PI3K (7). Increased proliferation results when forkhead transcription factors are inactivated through phosphorylation by Akt at Thr24, Ser256, and Ser319, which results in nuclear export and inhibition of transcription factor activity (8). Forkhead transcription factors can also be inhibited by the deacetylase sirtuin (SirT1) (9). Background: Phospholipase A2 (PLA2) is a superfamily of enzymes that hydrolyze glycero-3-phosphocholines and release fatty acids and lysophospholipids (1). PLA2G1B is a member of this superfamily in the 1B group that is expressed most highly in the pancreatic acinar cells (2). Evidence suggests that PLA2G1B plays a role in the absorption and storage of extra energy as fats are metabolized (1,2). Lysophospholipids generated by PLA2G1B inhibit fatty acid oxidation in the liver and reduce energy expenditure, leading to diet-induced obesity and type 2 diabetes with a high fat diet (1). Therefore, a potential intervention of obesity and diabetes could target PLA2G1B in the digestive tract (2). SimpleChIP® Human KLK3 Promoter Primers contain a mix of forward and reverse PCR primers that are specific to a region of the human kallikrein-related peptidase 3 promoter. These primers can be used to amplify DNA that has been isolated using chromatin immunoprecipitation (ChIP). Primers have been optimized for use in SYBR® Green quantitative real-time PCR and have been tested in conjunction with SimpleChIP® Enzymatic Chromatin IP Kits #9002 and #9003 and ChIP-validated antibodies from Cell Signaling Technology®. SimpleChIP® Human ESR1 Promoter Primers contain a mix of forward and reverse PCR primers that are specific to a region of the human estrogen receptor promoter. These primers can be used to amplify DNA that has been isolated using chromatin immunoprecipitation (ChIP). Primers have been optimized for use in SYBR® Green quantitative real-time PCR and have been tested in conjunction with SimpleChIP® Enzymatic Chromatin IP Kits #9002 and #9003 and ChIP-validated antibodies from Cell Signaling Technology®. Upon ligand binding, estrogen receptor forms hetero- and homodimers and binds to estrogen response elements on various genes involved in cell growth and sexual development. Deregulation of estrogen receptor can result in breast and endometrial cancers. 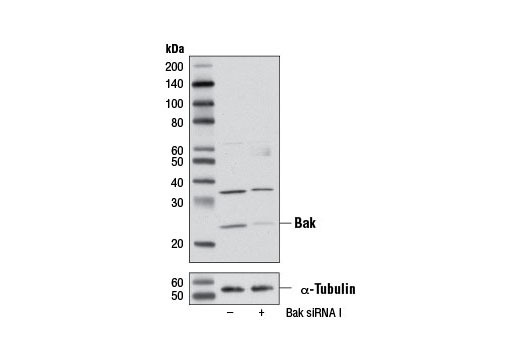 This Cell Signaling Technology antibody is conjugated to allophycocyanin (APC) and tested in-house for direct flow cytometric analysis in human cells. Background: When T cells encounter antigens via the T cell receptor (TCR), information about the quantity and quality of antigens is relayed to the intracellular signal transduction machinery (1). This activation process depends mainly on CD3 (Cluster of Differentiation 3), a multiunit protein complex that directly associates with the TCR. CD3 is composed of four polypeptides: ζ, γ, ε and δ. Each of these polypeptides contains at least one immunoreceptor tyrosine-based activation motif (ITAM) (2). Engagement of TCR complex with foreign antigens induces tyrosine phosphorylation in the ITAM motifs and phosphorylated ITAMs function as docking sites for signaling molecules such as ZAP-70 and p85 subunit of PI-3 kinase (3,4). TCR ligation also induces a conformational change in CD3ε, such that a proline region is exposed and then associates with the adaptor protein Nck (5). RNA interference is a method whereby gene expression can be selectively silenced through the delivery of double-stranded RNA molecules into the cell. SignalSilence® Control siRNA (Cy3® Conjugate) from Cell Signaling Technology (CST) is an siRNA sequence that will not lead to the specific degradation of any cellular message. It is intended to serve as a negative control for experiments using targeted siRNA transfection. In addition, this siRNA is Cy3®-conjugated to allow the researcher to assess transfection efficiency by fluorescence microscopy. Background: Striatal enriched phosphatase (STEP, also known as PTPN5), is a protein tyrosine phosphatase expressed in dopaminoceptive neurons of the central nervous system (1). Alternative splicing produces the cytosolic STEP46 and the membrane-associated STEP61 isoforms of STEP. Dopamine activates D1 receptors and PKA, which in turn phosphorylate both isoforms of STEP. Phosphorylation of STEP61 occurs at Ser160 and Ser221, while STEP46 is phosphorylated at Ser49 (equivalent to Ser221 of STEP61) (2). 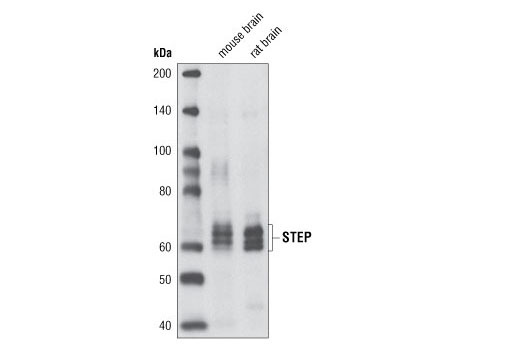 NMDA-mediated activation of STEP is an important mechanism for regulation of Erk activity in neurons (3). Furthermore, STEP is involved in the regulation of both NMDAR and AMPAR trafficking (4,5). Due to its importance in cognitive function, STEP may play a role in Alzheimer's disease (1). 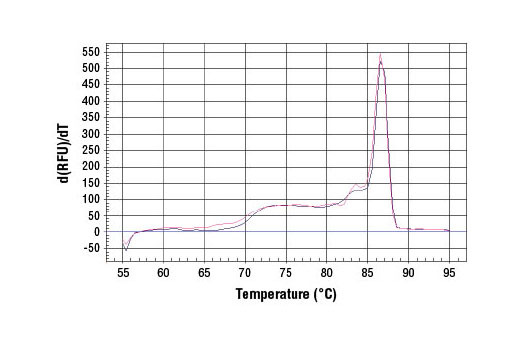 Nonphosphorylated ATF-2 Control Cell Extracts: Total extracts from NIH/3T3 cells, to serve as a negative control. 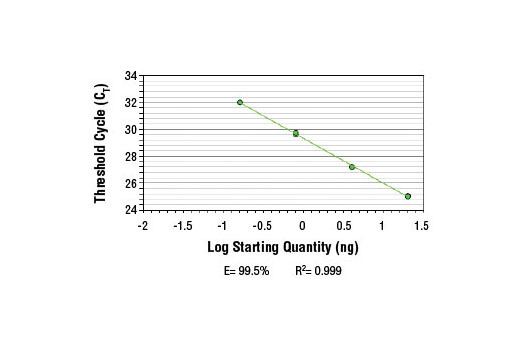 Supplied in SDS Sample Buffer.Phosphorylated ATF-2 Control Cell Extracts: Total extracts from NIH/3T3 cells, treated with Anisomycin #2222 at 25 ug/ml for 30 minutes to serve as a positive control. Supplied in SDS Sample Buffer. Background: The transcription factor ATF-2 (also called CRE-BP1) binds to both AP-1 and CRE DNA response elements and is a member of the ATF/CREB family of leucine zipper proteins (1). ATF-2 interacts with a variety of viral oncoproteins and cellular tumor suppressors and is a target of the SAPK/JNK and p38 MAP kinase signaling pathways (2-4). Various forms of cellular stress, including genotoxic agents, inflammatory cytokines, and UV irradiation, stimulate the transcriptional activity of ATF-2. Cellular stress activates ATF-2 by phosphorylation of Thr69 and Thr71 (2-4). Both SAPK and p38 MAPK have been shown to phosphorylate ATF-2 at these sites in vitro and in cells transfected with ATF-2. 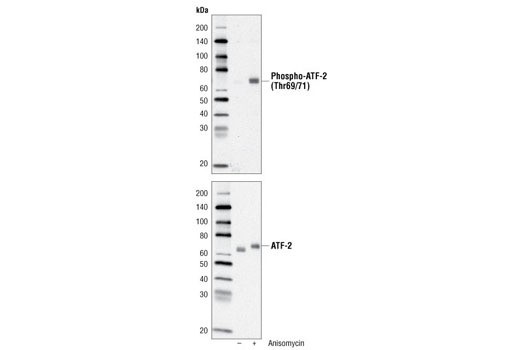 Mutations of these sites result in the loss of stress-induced transcription by ATF-2 (2-4). In addition, mutations at these sites reduce the ability of E1A and Rb to stimulate gene expression via ATF-2 (2). 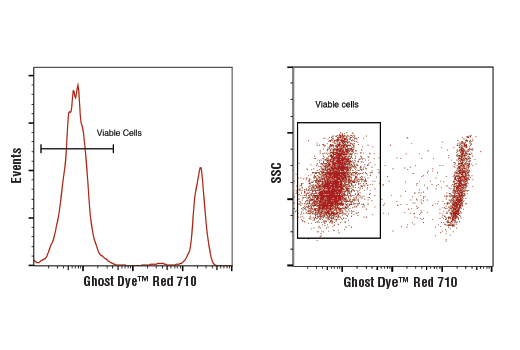 Ghost Dye™ Red 710 Viability Dye is used to discriminate viable from non-viable mammalian cells in flow cytometry applications. 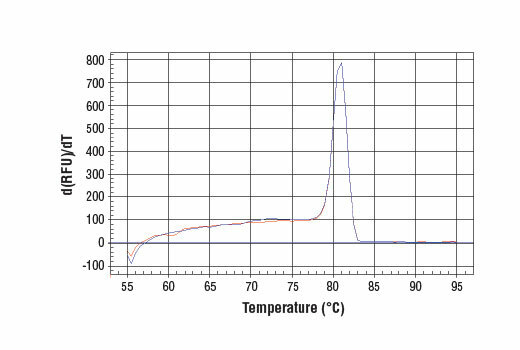 Ghost Dye™ Red 710 Viability Dye irreversibly binds free amines available on the cell surface as well as intracellular free amines exposed in cells with compromised cell membranes. 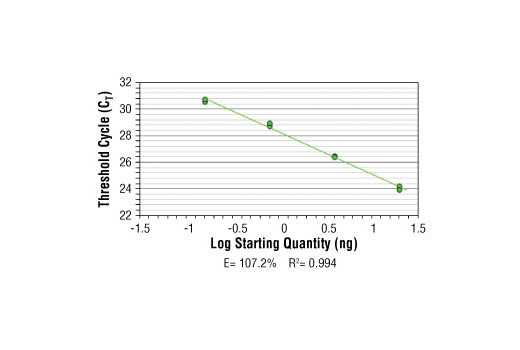 Non-viable cells with loss of membrane integrity will react with significantly more Ghost Dye™ Red 710 Viability Dye than healthy cells in the same sample. Cells that exhibit increased fluorescence intensity can be excluded from analysis. 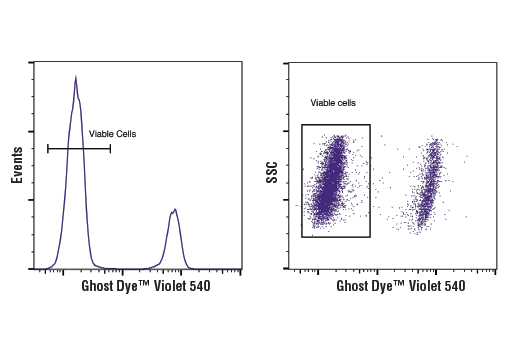 Ghost Dye™ Violet 540 Viability Dye is used to discriminate viable from non-viable mammalian cells in flow cytometry applications. 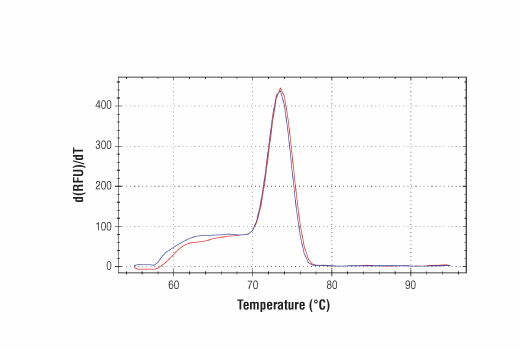 Ghost Dye™ Violet 540 Viability Dye irreversibly binds free amines available on the cell surface as well as intracellular free amines exposed in cells with compromised cell membranes. 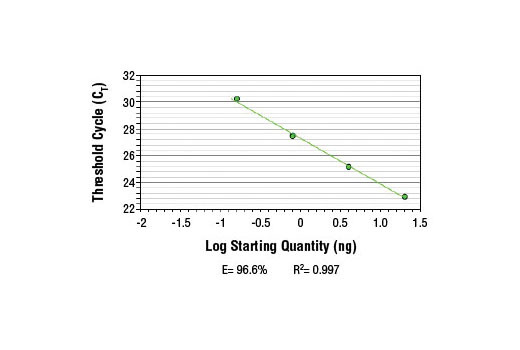 Non-viable cells with loss of membrane integrity will react with significantly more Ghost Dye™ 540 Violet Viability Dye than healthy cells in the same sample. 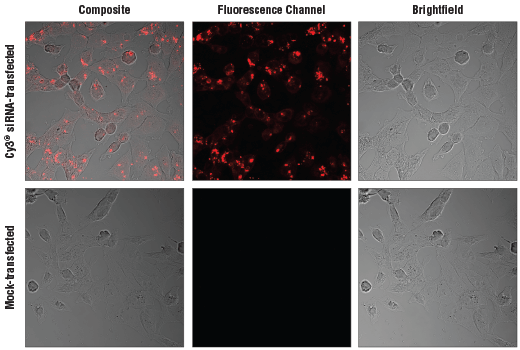 Cells that exhibit increased fluorescence intensity can be excluded from analysis. 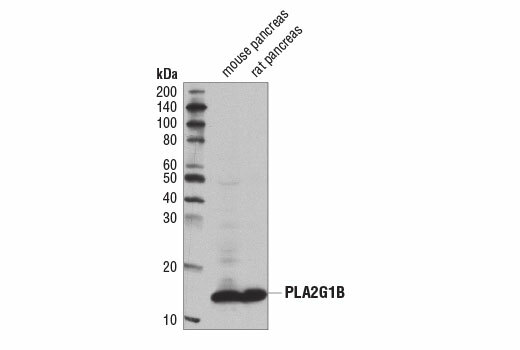 This Cell Signaling Technology antibody is conjugated to APC and tested in-house for direct flow cytometry analysis in mouse cells. Background: The protein phosphatase (PTP) receptor CD45 is a type I transmembrane protein comprised of a pair of intracellular tyrosine phosphatase domains and a variable extracellular domain generated by alternative splicing (1). The catalytic activity of CD45 is a function of the first phosphatase domain (D1) while the second phosphatase domain (D2) may interact with and stabilize the first domain, or recruit/bind substrates (2,3). 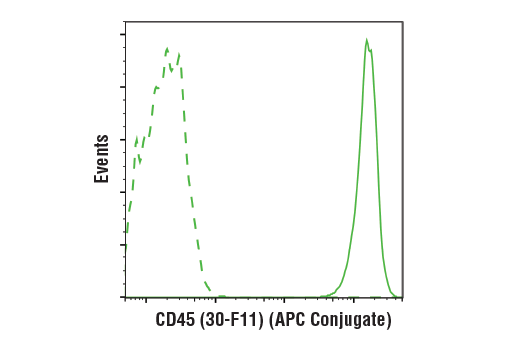 CD45 interacts directly with antigen receptor complex proteins or activates Src family kinases involved in the regulation of T- and B-cell antigen receptor signaling (1). Specifically, CD45 dephosphorylates Src-family kinases Lck and Fyn at their conserved negative regulatory carboxy-terminal tyrosine residues and upregulates kinase activity. Conversely, studies indicate that CD45 can also inhibit Lck and Fyn by dephosphorylating their positive regulatory autophosphorylation site. CD45 appears to be both a positive and a negative regulator that conducts signals depending on specific stimuli and cell type (1). Human leukocytes including lymphocytes, eosinophils, monocytes, basophils, and neutrophils express CD45, while erythrocytes and platelets are negative for CD45 expression (4).